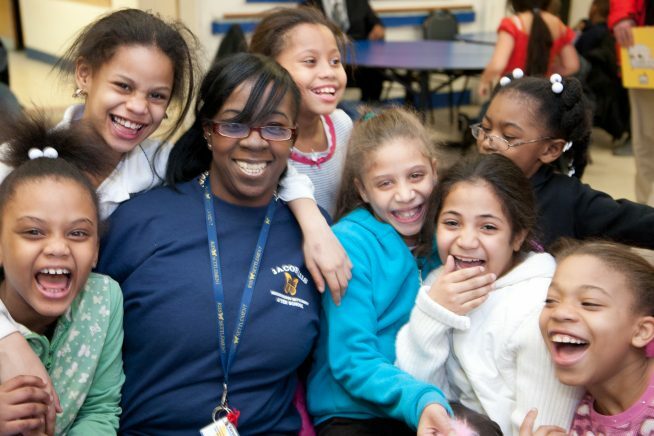 Afterschool programs can effect positive change in the kids and teens who attend their activities each day. However, afterschool staff sometimes struggle with how to measure the impact of their programs. As afterschool providers strive to support young peoples’ development into responsible, healthy citizens, they require a comprehensive and nuanced set of criteria and measurements to guide both their practices and their evaluation of those practices. Furthermore, providers need an accurate vocabulary to articulate to a variety of stakeholders – including parents, schools, funders, and youth themselves – the impact that high-quality programs can have on young people. PASE understands the critical importance of building afterschool agencies’ capacity to select, measure, and communicate youth outcomes that are appropriate both to the youth they serve and the services they provide. Since 2003, PASE has been a leader in the movement within the afterschool community to identify the broad range of youth outcomes attained in afterschool programs and, with the publication of our Afterschool Youth Outcomes Inventory in 2011, to strengthen the use of outcomes-based program design in youth-serving programs throughout New York City. PASE’s Youth Outcomes in Afterschool Initiative is currently supported by general operating support provided by our Board of Directors and individual donors. Past supporters of this initiative include the Booth Ferris Foundation, the Altman Foundation, the Stavros Niarchos foundation, and others.